What happens when you run out of business cards? Last week I was headed out to CHA, opened my business card box, and realized I didn’t have enough!! Oh no. So, I grabbed by handy kraft paper and got to work! Let me tell you how I made these…so easy! 1. 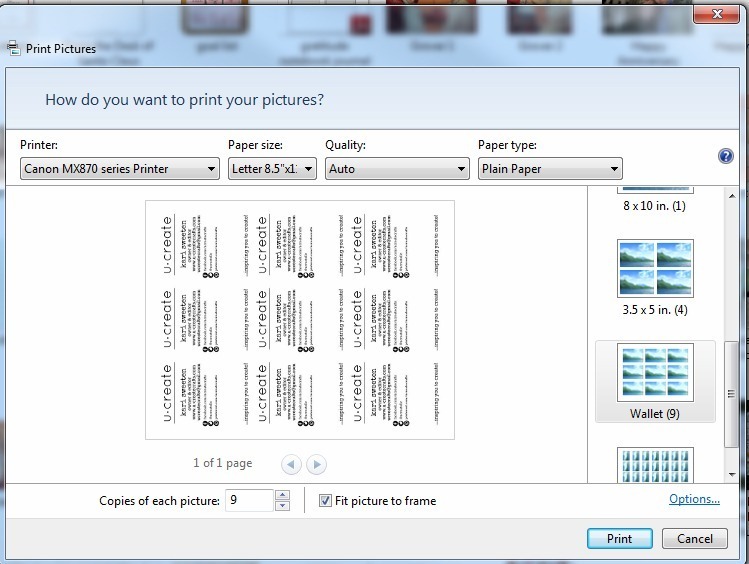 Design your business card with your favorite fonts and images in your favorite photo editing program. I used PicMonkey on this card. I included social media buttons by downloading my own image by using the “your own” button on the image below. I also added some little gray triangles so I would know where to cut and wind my twine! Cut, wrap around twine, and you’re DONE!! Thanks Danielle! They were so much fun to make! Sue, you are welcome!! Thanks for stopping by! Sierra so glad you like them!!! Thank you! These are so adorable Kari! I love them! So cute Kari! Love theses! Thanks Jamielyn…I wanted something creative & unique! 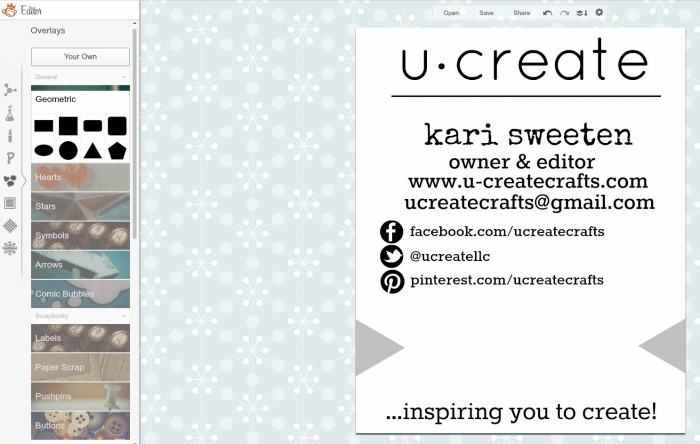 Thanks so much for showing us how, Kari…these are the cutest cards I’ve ever seen! Great idea, Kari! Business cards have been on my mind lately. I love that these are simple and give people a little something special too! 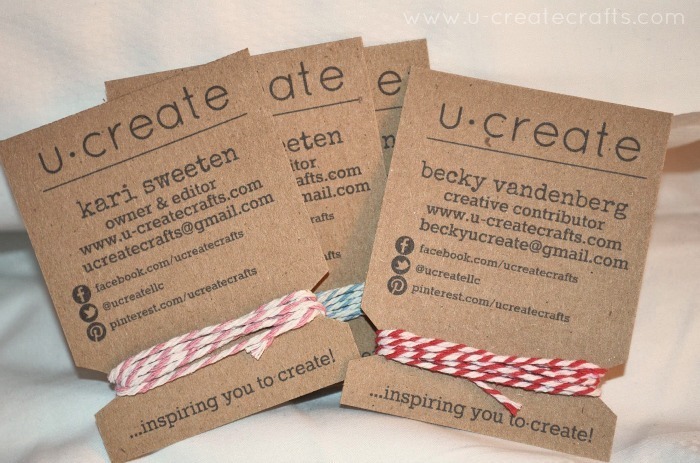 I thought the same thing Katie…I wanted to give people something that I love…Bakers Twine! So cute! Make me want to make some! You should…they’re so simple to make! I met you and your sister at CHA. Wasn’t it a blast? 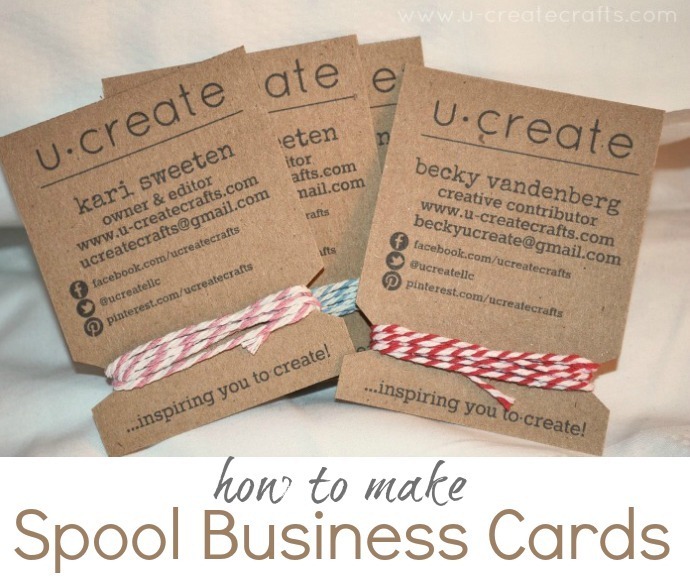 You handed me your business card–and, I have to say, it is my favorite! Clever, cute, practical… Just like your blog. So much fun to meet you Doreen. You are extremely talented!!! Genius, I love this idea! They’re so personal and fun! Oh good, that’s what I was hoping for Rachel. Thank you for stopping by! Thank you for your nice words Rosie! What a wonderful idea! Love it!! Eek! What a great idea! !